Running on about 20ex investment atm, this is my first real trickster. The build can be functional with about 6ex. Guardians, Shaper, Elder guardians all down, uber elder pending. -Tanky bosser, able to clear guardians and shaper on 6 ex. -Whirling blades on an attack speed scaling build is outrageous. -Easy to make your money back. Being successful in 99% of encounters helps make money! -Clear is not comparable to a mapping build, but this will get you through the game. -Need stun mitigation in addition to ghost shrouds, but gets very strong with boot enchant. 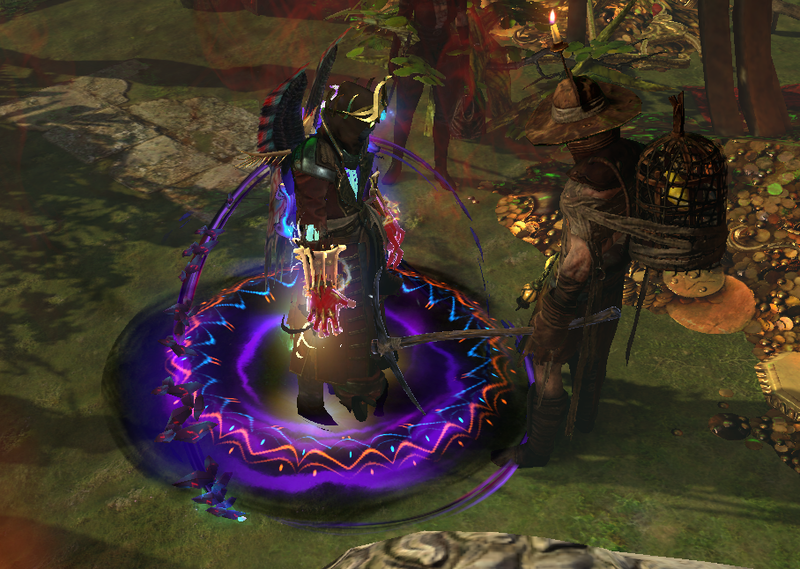 Ascendancy: Trickster- Ghost Dance, Weave The Arcane, Escape Artist, Harness The Void- i picked up escape artist while still on a tabula and it would have been better if i grabbed it when i already had the shroud. Upgrades: Cyclopean Coil could use a good corruption, ele weakness on hit on shaper's touch gloves, drop wise oak in red maps, pick up dying sun and vinktar. Get corrupting blood on a jewel. Dropped Call of the Brotherhood for now. Claws should get culling strike and/or attack speed corruptions. Is there a reason you are running two HOWA instead of a HOWA and a shield? ive been looking into crafting a shield for this build. you would gain 1000-1200 ES, but to craft a shield with comparable attack speed and damage gains would be a righteous endeavor. A synthesised base with t1 int, t1 attack speed, high es, lightning as extra chaos and a %int implicit would be what it takes to make this upgrade worth it. the t1 lightning as extra chaos roll has a 0.09% chance to hit. You would gain significant survivability but until this item actually exists, I could not recommend it over the damage bonus from the extra stat scaling from the claw. While atziri's reflection adds much survivability and frees up a flask for curses, the damage nerf would be huge.